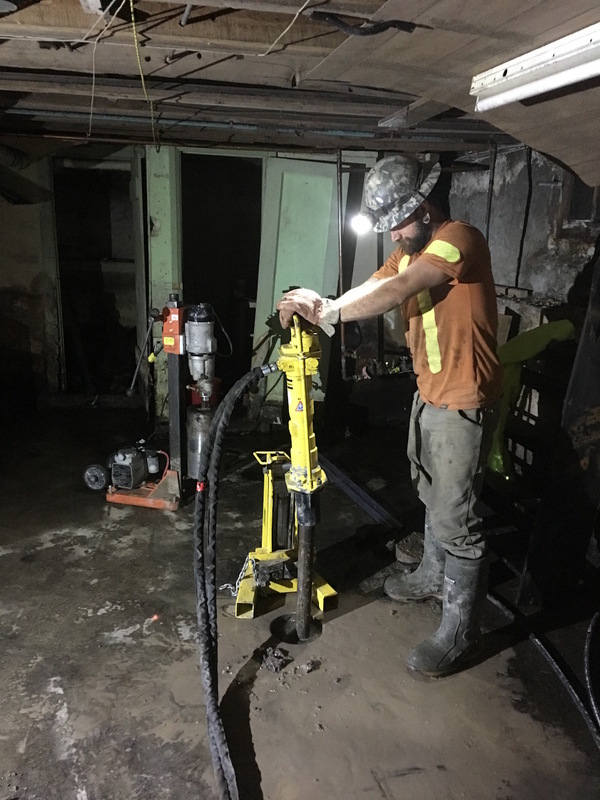 Our custom limited access drill rig has the capability to auger, core, mud rotary, wash bore and tri cone within a clearance of 7’4”. This unit is equipped with an auto hammer for SPT requirements. 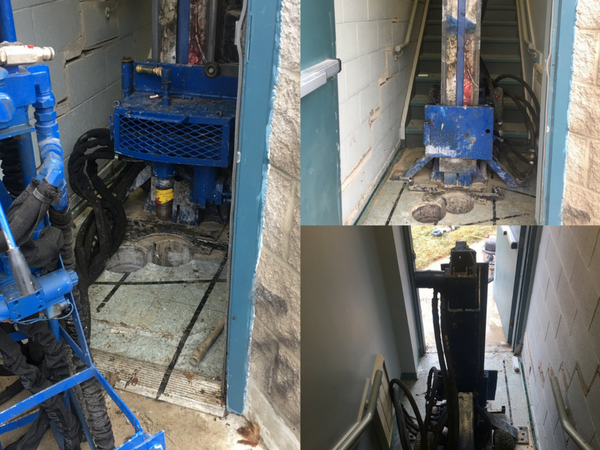 The unit can access a 24” opening and the drive unit can be located outside buildings, basements etc with its 150’ hydraulic lines. It runs 24” tooling. 1 1/4” well installations are possible with this unit. 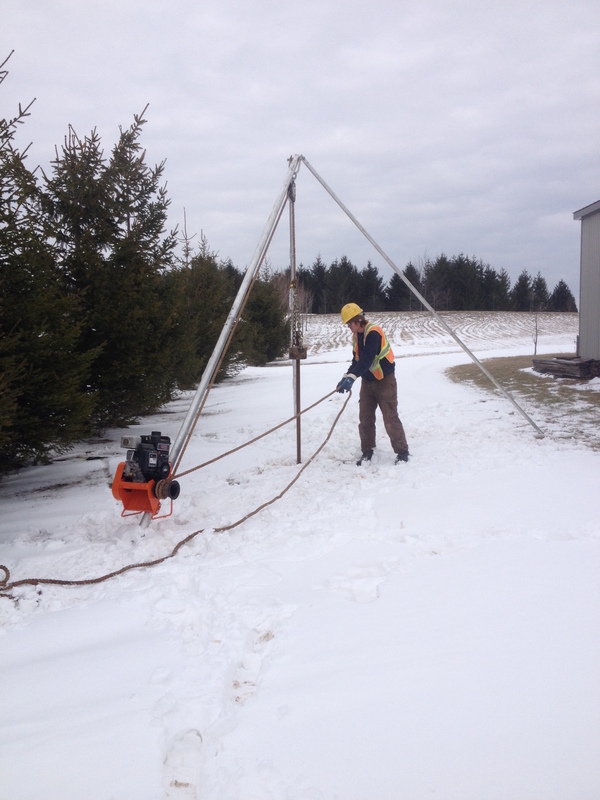 This unit paired with our MT85 Bobcat allows for limited access Geotechnical and environmental investigations in backyards with a 36” opening. PDTS (Percussion Dual Tube Sampler) is specifically designed for low clearance and reduced access areas. Utilizing hydraulics and a percussion rate of 1750 bpm, we advance an MC5 dual tube sampler. Removal of sample tubes is completed with a hydraulic puller for ease of operation. 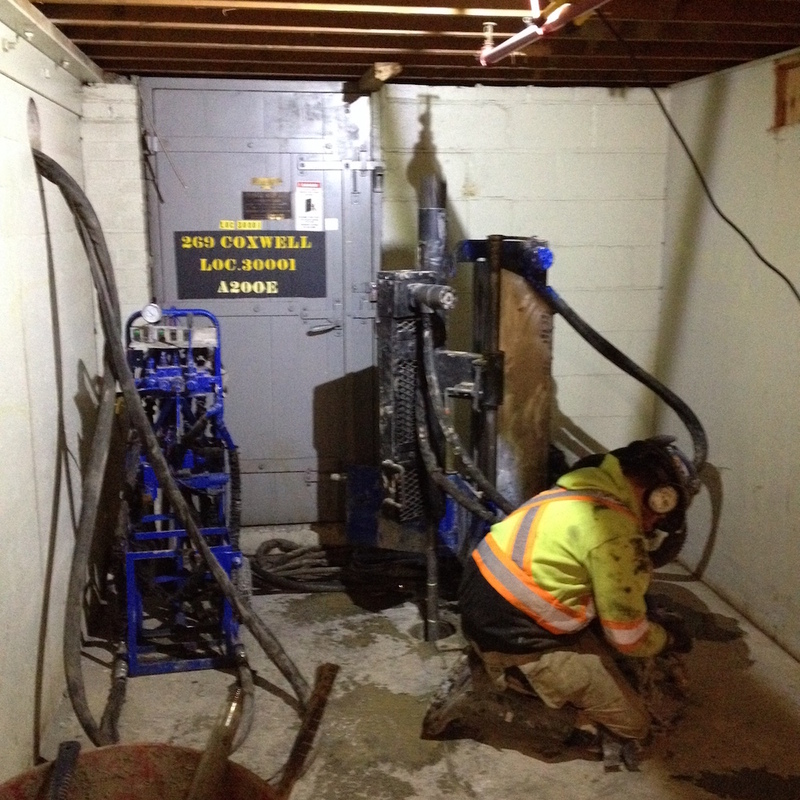 1” well installations with no cuttings makes this a great environmental investigation option.